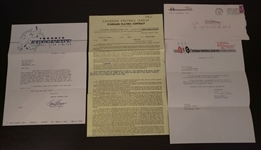 Additionally, the contract is accompanied by a signed letter from Roughriders coach, Frank Clair (D. 2005), who is a member of the CFL Hall of Fame. This comes with the original envelope. 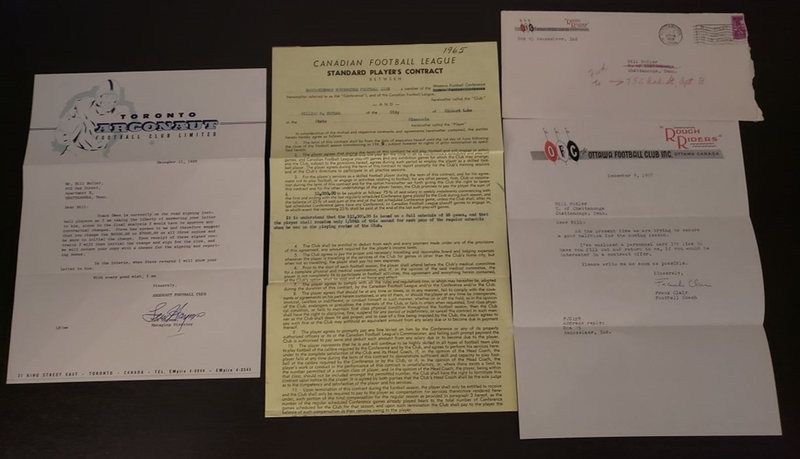 As an added bonus; included is a typed letter signed from 1958 from the Toronto Argonauts trying to get Butler to sign with the team. He would sign with the Green Packers instead. Leter is signed by Lew Hayman (D. 1984) who was a GM and coach in the CFL; winning 5 Grey Cups, and inducted into the CFL HOF in 1975. Awesome package of rare Canadian Football Hall of Famers.